Scenario #1: An officer responding to a report of a domestic argument between husband and wife observes the husband walking down the street. The husband is unarmed and obviously does not understand English well. He is an obvious victim of a fire, displays horrible burn injuries and is dressed in a burn pressure suit. The officer calls out to the subject who is walking away from him to stop. The non-threatening subject ignores the officer and continues to walk away from him with empty hands clearly displayed. The officer unholsters his Taser and warns the subject to stop or be tased. When the subject ignores the officer's commands, the officer fires his Taser, which strikes the subject in the back and knocks him down. Assisting officers arrive on-scene within seconds and secure the man as he writhes in pain from the Taser and his now reopened burn wounds. Scenario #2: An officer is called to the scene of a wrong way driver who is now parked at the side of the road. He contacts the lone middle-aged man who has a "death grip" on the steering wheel and is unresponsive to commands to exit the vehicle. The officer opens the car door and tries unsuccessfully to remove the non-threatening man's hands from the wheel, but the driver remains unresponsive and almost catatonic. In response, the officer tases the man who falls out of the car onto to the pavement, striking and severely injuring his head. Upon arrival of paramedics, it is soon learned that the man is in insulin shock. Scenario #3: Corrections officers struggle with a misdemeanor arrestee during an attempt to strip-search him. The man is non-combative but actively resisting the removal of his pants. While six deputies pin the man on the floor, a seventh deputy repeatedly shocks him with a Taser. The semi-conscious man is then placed into a restraint chair where he is fully restrained and fitted with a spitting hood. During this process, the man is tased over ten additional times, while a number of deputies stand by. Welcome to my world as a forensic criminologist specializing in police practices and use of force, and your introduction to the police practices use of force psychological dynamic of "Taser Mentality" or "TM". First, as both a Taser instructor and a certified Forensic Analyst (not employed by or representing Taser International), who is frequently retained to provide consultation and testimony about uses of force involving the Taser Electronic Control Device (ECD), I am a strong supporter of this unique defensive weapon system. As advertised, the Taser and its product line have been directly responsible for saving the lives of scores of officers and violent subjects encountered by police over the years. However, as with OC pepper spray and other defensive weapons systems developed over the years to assist law enforcement, the weapon or system can easily be abused by the end user. This abuse, and how to recognize and avoid it, is the topic of this forensic discussion. Either "Millennium Generation" officer, relatively new on the job, or problematic veteran officer. Overreliance on a defensive force weapon system has certainly occurred in the past, as evidenced by the initial over-use and abuse of oleoresin capsicum (OC) pepper spray, first introduced into the law enforcement community in the 1970s and in California specifically in 1993. Part of the "weapon over-reliance problem" for law enforcement administrators and line officers is that they are occasionally influenced by manufacturer "sales rep - instructors" who either expressly convey, or strongly infer, that by purchasing and using their weapon or device: (1) officer and subject lives will be saved and injuries significantly reduced; and (2) risk management/ litigation costs will be significantly reduced. While in my professional experience both of the above assertions may be correct, I have discovered that the specter of a far more serious problem surfaces with certain officers presenting with the aforementioned TM forensic personality profile. When Taser International and law enforcement agency Taser instructors discuss how the Taser works and how it is intended to save lives while not injuring people, what the "TM Prone Officer" actually "bears" and processes instead is a perceptual set of "Now I don't need to ta lk to or put my hands on anyone anymore. All I have to do is just tase them into compliance." The ultimate results of the faulty perceptual set of TM Prone Officers are evident. These officers tend to spend little time utilizing their tactical communication skills to generate compliance by non-compliant subjects. Instead, they consider their Taser a panacea that will more expeditiously solve their problems with initially noncompliant, belligerent or posturing subjects. This problem is exacerbated in young "Millennium Generation" officers who often lack interpersonal communication and appropriate subject non-compliance stress response skills. TM Prone Officers lacking in situational awareness and verbal, officer safety, and/ or Arrest & Control Tactics (ACT) skills use their Taser prematurely as an "equalizer" when other non-forceful compliance alternatives are readily available. In such circumstances, the TM Prone Officer's use of Taser force may be analyzed as both unreasonable and excessive per Graham v. Connor (1989). As we can all appreciate, any force that a trier of fact determines to be excessive is also a violation of that individual's (now a plaintiff's) civil rights under the 4th, 8th and 14th Amendments depending upon the unique circumstances. In such cases, the involved officer may not be protected by "Qualified Immunity." Further, if a plaintiff's attorney establishes that there was a custom or practice of officers unnecessarily tasing subjects, the municipality and agency might also be seen by the trier of fact to be "deliberately indifferent" to the civil rights of its citizens. Law enforcement agency administrators, use of force instructors and agency defense attorneys need to be mindful that the "Taser Mentality" and "TM Prone Officers" exist in every department that uses the Taser. 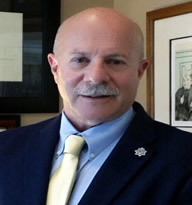 It is the agency's responsibility to develop appropriate policies and to properly train and evaluate not only the physical competencies of their officers during Use of Force and Taser training, but also accurately assess what their officers have learned and how they process that training information in the field when they are stress inoculated. Such training is readily available and far more cost-effective than suffering from bad media coverage, or paying to defend Taser law suits. Plaintiff attorneys also need to be informed of the forensic psychological dynamic of "Taser Mentality" in presenting cases before the trier of fact on behalf of deserving plaintiffs.